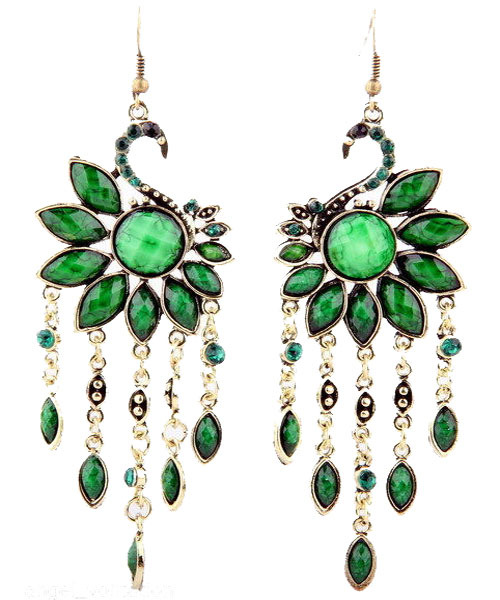 Elegant and eye-catching, these earrings resemble a swan made of shimmering green crystals. Gold-plated pendants complement the design. Oz Bling brings you great quality and low priced cheap jewellery online.